It's so hard to make yourself a cup of nice coffee at home. Sometimes I just give up my cravings to coffee because I don't want to give in to below average taste coffee. 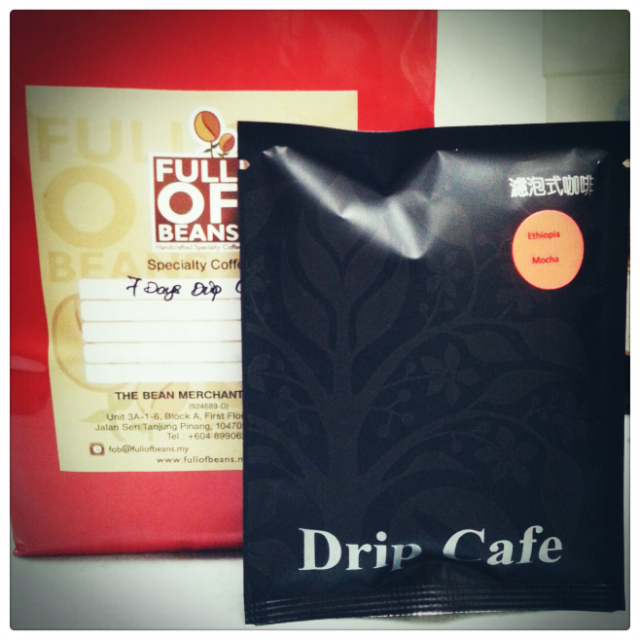 My friend who work as barista in Penang gave me a pack of 7 days drip coffee that just suits my cravings! Thank you sweetie, these are the good coffee I've been dreaming for! 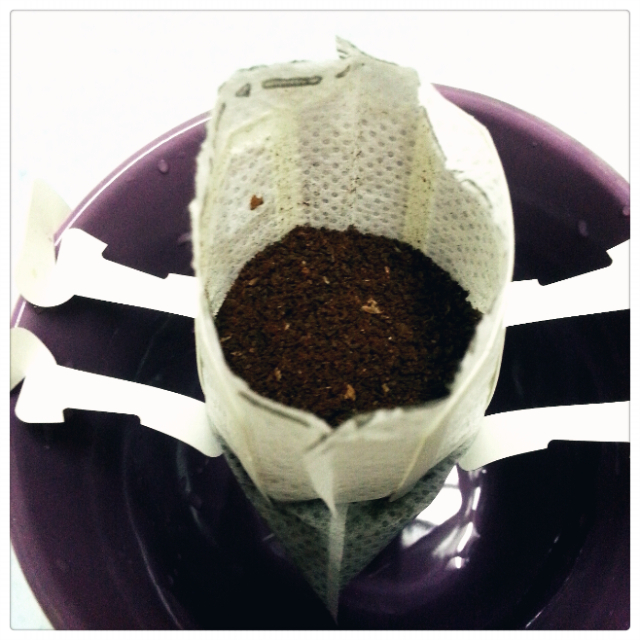 It's so easy to prepare a cup of nice coffee with this 7 days drip coffee pack. Just open it up, hang the coffee bag at the mouth of the cup and add hot water! That's it! 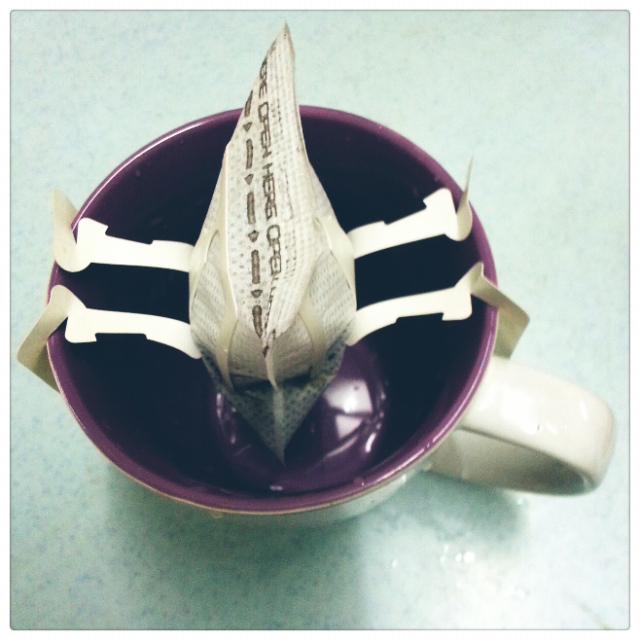 Enjoying a cup of nice, aromatic coffee on a rainy day~ This is life!